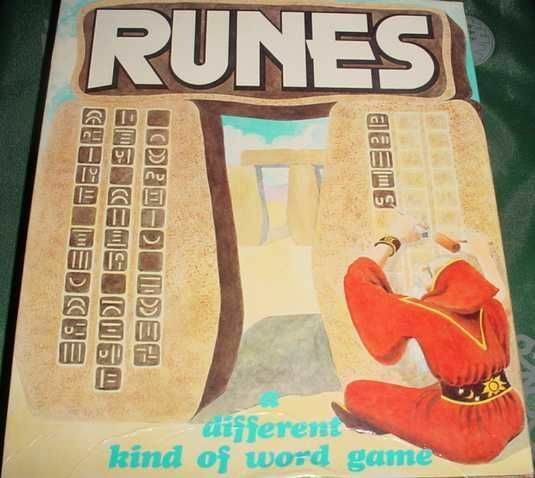 Runes is a different kind of word game where players actually construct the letters with special game pieces. Players attempt to figure out not simply the spelling but the actual letter structure of the hidden words. Later version was called "Buzzle."